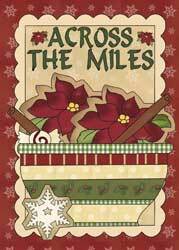 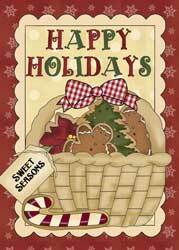 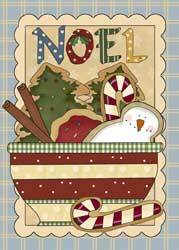 These Christmas cards with a cookie and baking theme will fit in a 5x7-inch envelope. 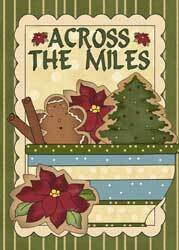 A great variety of colors of envelopes can be found at craft stores.The cards will be 4 1/2-inches by 6 inches when printed..
Print the Christmas cards on cardstock, fold in half and cut to size. 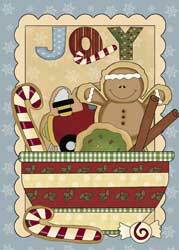 The card is on a 8 1/2" x 11" background so when the card prints, it will have a full blank section for the back side of the card. 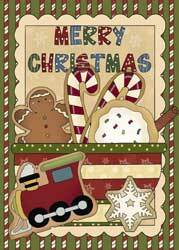 The graphic itself can just be cut out and used as a Christmas postcard, still using the 5x7-inch envelope, signing on the back or front of the postcard.